Apple's effort to bring CareKit has helped researchers, patients and developers to make use of data collected via smartphone. 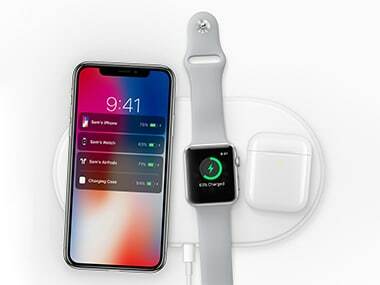 Apple has bagged the honour of being the most innovating company in the world in a list released by a monthly American business magazine Fast Company. The company is followed by the online streaming platform Netflix for capturing the world of small screens. Apple was ranked fourth on the same list released in 2017. Apple AirPods, Watch Series 3, ARKit and iPhone X are the reasons for making the company the most innovative around the globe. According to the description provided by the magazine "For a company slagged for not having had a hit since the iPad in 2010, Apple had a notable 2017: Its wireless AirPods became ubiquitous around the country; the Apple Watch Series 3 is a bestseller; developers embraced ARKit, its AR framework; and even skeptics were blown away by the iPhone X." The report mentioned that Apple's approach to the hardware is the software engineering that creates a unique experience and 2017 saw the Cupertino giant being more ambitious than ever before. Other companies make their smartphones by embedding the same chip available in the market inside their smartphones whereas Apple creates its own processor (from the ground up). The processors designed by the company are optimised for Apple operating system, apps, display, camera and a touch sensor. The companies chips have become so good that the A10 Fusion chip inside the iPhone 7 beats the rival processors in benchmark speeds. The report praised Apple for using artificial intelligence inside the device and accepted that the iPad Pro is advertised as "supercomputers" is not an exaggeration. "The company has been expanding beyond its traditional consumer electronics roots and is growing an entertainment business with Apple Music and Apple TV." the report mentioned. Apple's effort to bring CareKit has helped researchers, patients and developers to make use of data collected via smartphone. The second rank in the list is taken by financial service company Square, the fourth by a Chinese investment company and fifth by the online retail website Amazon.com. Reliance Jio, the telecommunication company of India was the first Indian company to be listed on the list. Jio stood at 17th position in the list of top 50 companies. The second Indian company making entry into the list at the 31st position is Paytm. Jio makes the list for bringing 4G LTE to the masses in India. According to the report, 'the company installed more than 100,000 new cell towers, laid some 155,000 miles of fibre, and built 500,000 square feet of cloud data centres.' The report also applauded the companies effort “to overcome their fear factor with consuming data.” of Indians.